It is my honor to serve as City Manager for the City of Pasadena and to lead a team of dedicated and talented employees, working to implement the policy direction of the Mayor and City Council. Looking back on calendar year 2018, much has been accomplished, as highlighted in this annual report. Without a doubt, the most significant event was the successful passage of Measures I and J this past November, with voter approval exceeding 68 percent and 72 percent, respectively. Measure I, the Pasadena Infrastructure/Community Essential Services Protection Measure, will provide much needed General Fund revenue in the form of a 3/4-cent local sales tax. Measure J is an accompanying advisory measure, which advises the City Council to share one-third of the revenues generated by Measure I with local public schools. The revenues provided by Measure I will enable the City to maintain existing essential municipal services, such as emergency 9-1-1 response, police patrol, and programs for seniors and youth, in the face of increased operating costs and otherwise flat or declining revenues. Sufficient revenues will also be available to address many of the City’s significant capital improvement needs, including upgrades/replacement of fire stations to meet current standards and operational needs, replacement of outdated 9-1-1 communications equipment, repairing broken sidewalks, and replacing old, failing street lights. Also notable this past year, the City demonstrated its ongoing commitment to a more sustainable future by terminating an agreement for a significant amount of electric energy generated by fossil fuels and will instead, as part of the newly adopted Power Integrated Resource Plan (IRP), invest in long-term renewable energy sources, like wind and solar. The City also plans to procure more electric vehicles (EVs) for its fleet, increase the number of public EV charging stations, and offer incentives for residents and businesses to go electric. In January 2019, the City will begin accepting applications for commercial cannabis operations consistent with the terms of land-use regulations approved by Pasadena voters in June 2018. Associated with these regulations will be a new cannabis tax that will provide a new source of revenue to the City’s General Fund. Significant development projects currently underway, such as the new headquarters for Alexandria Real Estate Equities and the first-ever Kaiser Permanente School of Medicine, will be completed. New projects, such as the Lincoln Properties investment on the Parsons block, will bring residential and commercial activities to Fair Oaks Avenue. For these and many other reasons, we can look forward to 2019 with renewed optimism. 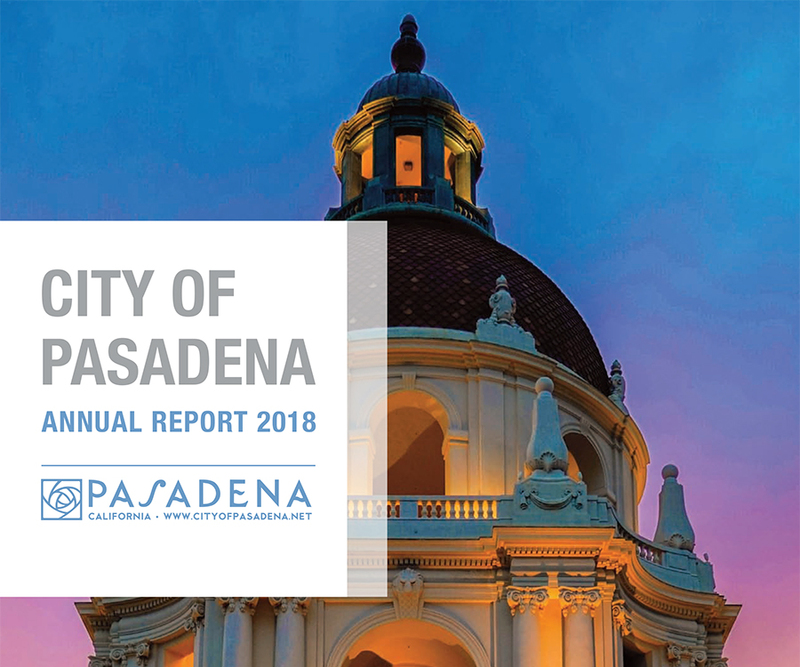 There will be challenges of course, but Pasadena will continue to prosper with the guidance of the City Council and the involvement of an informed and engaged community.